Prosopis juliflora and Prosopis pallida are generally similar in terms of flower, pod and leaf morphology as well as tree form. With naturally occurring hybridisation, it is actually difficult to differentiate between these two species (Pasiecznik et al., 2001). Also, there is still some confusion regarding the Prosopis species imported into Sudan in the early 20th century, as trees believed to be Prosopis chilensis in Sudan (and now in many African countries) are now considered to be Prosopis juliflora. A similar taxonomical error happened in Peru and more notably in Hawaii, where Prosopis chilensis trees are now identified as Prosopis juliflora or Prosopis pallida (or hybrids). As a consequence, much of the early research in Africa and Hawaii concerning Prosopis chilensis may be about other Prosopis species (Gabar, 1988; Pasiecznik et al., 2001). Mesquite (Prosopis juliflora (Sw.) DC), one of the 44 species of Prosopis, is an evergreen leguminous tree, typical of arid and semi-arid regions, growing up to 10-15 m high. The crown is large and the canopy is open. Mesquite is a phreatophyte (Ecoport, 2010; Riveros, 1992) and has a deep taproot, growing downwards in search of water tables (down to 35 m depth), with well-developed lateral roots competing with grasses. The stems are green-brown, twisted and flexible. They have long and strong thorns (1.2-5 cm long), though some varieties are thornless. Leaves are pinnately compound with 13-25 pairs of leaflets arranged on 1 or sometimes 2 pairs of pendulous rachis. Leaflets are oblong (3-16 mm long x 1.5-3 mm broad) (Ecoport, 2010; FAO, 2010). Flowers are light greenish-yellow, arranged in cylindrical spikes 5-10 cm long and 1.5 cm wide. Fruits are flattened, curved, indehiscent pods (4 mm thick, 1-1.5 cm wide and 15-20 cm long) (Ecoport, 2010). Pods are straw-coloured and contain a fleshy and sugary mesocarp (Göhl, 1982). The pods contain 10-20 seeds that are 2-8 mm long (FAO, 2010). There is a wide range of mesquite varieties. Prosopis juliflora and its close relative Prosopis pallida are two of the most economically and ecologically important tree species in arid and semi-arid zones of the world. The Prosopis juliflora - Prosopis pallida complex provides many of the needs of poor rural populations living in tropical dry zones. However, it is also extremely invasive and often considered as a scourge by ranchers and pastoralists (Pasiecznik et al., 2001). Mesquite wood is a good firewood (it is also called “wooden anthracite”) and produces high-quality charcoal (NAS, 1980). It is also used for windows, doors and light carpentry (Ecocrop, 2010). Stems contain a gum similar to gum arabic. Mesquite was one of the earliest legume foods used by humans (Gutteridge et al., 1994). In Central America, numerous food preparations are made out of mesquite: bread, syrup, sweets and sweeteners, alcoholic beverages and a sort of coffee (Gutteridge et al., 1994). The worldwide availability of pods was estimated to be about 2-4 million t in 2003 (Sawal et al., 2004). The protein and sugar-rich pods are used as fodder and their value is all the more important as they are available during dry periods (van der Maesen et al., 1997). Mesquite foliage is well accepted by wildlife and livestock but the green leaves are not very palatable and the cattle only eat the buds. Direct browsing of the foliage may limit tree development (Mendes, 1988). Mesquite is thought to have originated from Peru, Chile and Argentina and to have spread to Mexico and the Southern USA. It was later introduced into North-East Brazil, Bolivia, Colombia, El Salvador, Nicaragua, Uruguay, Venezuela, the West Indies and the Bahamas. Now, it is distributed between 35°N and 4°S throughout Western Asia, Africa and arid and semi-arid regions in the Americas, from the Southwestern United States to Central Chile and Argentina (Ecoport, 2010; Silva, 1988b). Mesquite is xerophytic and is adapted to many soil types under a wide range of moisture conditions (Orwa et al., 2009). It is found from sea level up to an altitude of 2900 m (Ecocrop, 2010). Optimal growth conditions are mean annual temperatures ranging from 14°C to 34°C, average annual rainfall between 50 mm and 1200 mm (Ecoport, 2010) and deep soils (Nair, 1993). The value of the tree lies in its exceptional tolerance of heat, drought (8 months and possibly longer) and marginal soils. It tolerates strongly saline or alkaline soils. It also withstands seasonal waterlogging (Orwa et al., 2009). It is sensitive to cold weather and frost. However, droughts during flowering periods may affect flower and pod production (Ecoport, 2010). Irrigation during flowering periods tripled or quadrupled pod yields in Brazil (Riveros, 1992). Pods production begins 3 years after planting. Pods yields may be as high as 10 t/ha/year, average pods yields are 8.7 t/ha/year in the USA and 6 t/ha/year, after 4 years, in Brazil (under good fertilizer levels) where maize only yields 400 kg/ha (Riveros, 1992). The average yield per tree is about 10-50 kg pods/year, which can be collected from May-June and September-October (Sawal et al., 2004). Pod harvest is an easy but costly manual operation. Pods are stored in wood-lined or brick-built houses or in layers of sand ("colca") (Silva, 1988a). Pods may be stored for several years but are very prone to insect attack, requiring treatment of the storage houses with insecticidal dust or fumigation (Ffolliot et al., 1983). Mesquite is an N-fixing legume. Its roots are infected by cowpea-type Rhizobium and also form mycorrhizal associations with Glomus fungi. The N-fixing rate increases when both mycorrhiza and Rhizobium associations are present. A 6 m x 6 m mesquite plantation can fix about 30-40 kg N ha/year (Orwa et al., 2009) and may subsequently be intercropped with maize or with Cenchrus ciliaris L., Megathyrsus maximus Jacq. and Opuntia spp. (van der Maesen et al., 1997). Mesquite provides shade and shelter and is used in windbreaks and shelterbelts, but it should be avoided in irrigated areas since it is a potential host to pathogenic nematodes (Ecoport, 2010). Because of its ability to grow on saline and alkaline soils, mesquite is valued as a soil reclaimer in very poor and degraded lands, rocky soils or abandoned copper mines. It is also useful for stabilizing dunes in coastal zones and bunds around mangrove creeks (van der Maesen et al., 1997). Mesquite has an overall positive effect on soil: N, sulphur, organic matter and soluble salts are increased threefold within the upper 4.5 m of soil under mesquite (Ecoport, 2010). In spite of these qualities, mesquite is considered as a noxious weed in many parts of the world, since it naturalizes easily and competes strongly with other species when introduced into areas where soils are better and the climate more humid (USDA, 2010; Ecoport, 2010; Ecocrop, 2010; van der Maesen et al., 1997). In Rajasthan (India), sheep farmers have to face the problem of the infestation by Prosopis juliflora bushes on already scarce grazing areas (Dinesh et al., 2003). It is possible to control mesquite by regular pruning and turn it into a valuable tree that is less aggressive to grasses or crops. Removing the poorly nutritive side branches results in smaller roots and more efficient water utilization (Elfadl et al., 2003). Grazing of mesquite stands is another way to control its growth (Riveros, 1992). Mesquite pods have a relatively high nutritional value. They contain about 10-15% DM of crude protein, 20-30% DM of crude fibre and 16-41% of total sugars (75% saccharose) (Sawal et al., 2004). Pod composition is quite variable. Pods from India and Africa appear to have lower levels of desirable carbohydrates and higher levels of unwanted fibre than pods from Peru and Brazil (Pasiecznik et al., 2001). The sugar content make them palatable to ruminants, pigs, poultry, equines and other animals (Sawal et al., 2004). The seeds contain up to 30-40% protein and much less fibre (3-7%) than the pods (Sawal et al., 2004). Pod husks have also been occasionally used as feed. They are poor in protein (4% DM) and rich in crude fibre (54% DM) (Mathur et al., 2002; Russell, 1947). Fresh leaves contain about 17-20% protein and 22% crude fibre (Lima, 1994). They are rich in lysine but deficient in methionine and cystine (van der Maesen et al., 1997). The hay contains about 14% protein (Mendes, 1988). Mesquite pods contain cytotoxic alkaloids that may cause symptoms of intoxication in cattle, horses, sheep and goats when diets contain high levels of pods (more than 50%). Problems have been reported in the USA, Peru and Brazil (Silva et al., 2007; Tabosa et al., 2006; Camara et al., 2009; Assis et al., 2010). Poisoning was also recorded from pods eaten after exposure to rain (Göhl, 1982). In two studies, goats and cattle fed with diets containing 60-90% and 50-75% mesquite pods suffered mandibular tremors during chewing, due to a toxicity to neurons of certain cranial nerve nuclei (Tabosa et al., 2000; Tabosa et al., 2006). In another series of outbreaks in Brazil, the main clinical signs were progressive weight loss, atrophy of the masseter muscles, dropped jaw, tongue protrusion, difficulties in prehending food, tilting the head during mastication or rumination, salivation, impaired swallowing, and decreased tone of the tongue (Camara et al., 2009). Neuronal lesions resulted in difficulties in prehending and chewing; it subsequently caused feed wastage and death of the animal (Tabosa et al., 2006). In India, goats offered dry mesquite pods as the sole feed over 4 days suffered from partial anorexia, depression, salivation, twitching, dehydration and bloody diarrhoea. Mesquite had deleterious effects on haemoglobin, rumen pH, rumen bacteria count and caused total disappearance of rumen protozoa. There was a significant decline in blood pH and increase in blood urea nitrogen. Histopathological studies revealed necrotic lesions in the liver, degenerative changes in renal tubules and rarefaction of lymphoid tissue (Misri et al., 2003). Mesquite pods are palatable feeds and good sources of energy for ruminants due to their digestible carbohydrate content. They can replace part of the grain content of the diet (Sawal et al., 2004). In many areas, cattle, sheep and goats browse the pods in the fields, snatching them before they drop or picking up the dry ones from the ground. The animals can also graze the dry grasses of low nutritive value found within the mesquite stand (Silva, 1988a; Pasiecznik et al., 1995). The pods can also be collected and fed to stalled livestock, whole or processed, alone or as part of a ration and fresh or after storage. Processed pods are more digestible and ground pods have a better nutritional value. Processing involves the pounding, grinding or milling of pods, either as a single process producing a whole pod extract, or with some separation of pod parts and further processing of each fraction. Processing usually involves milling of whole pods into a homogeneous, coarse flour, although in some cases exocarp and mesocarp (pulp) are separated from the endocarp and seed (Pasiecznik et al., 2001). 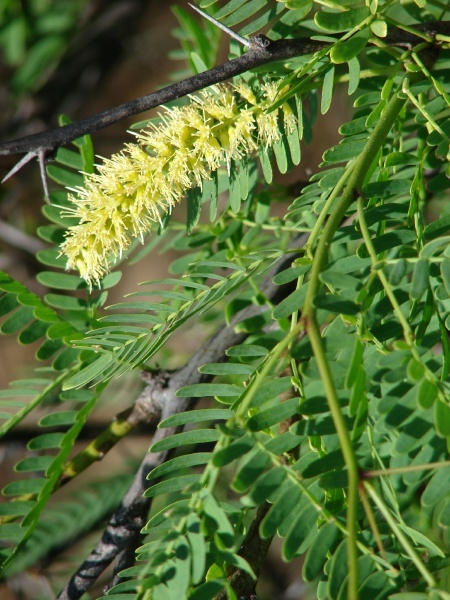 Studies show that cattle rations containing less than 50% Prosopis juliflora pods lead to no adverse effects on consumption, digestibility, nutrient balance and animal health (Pasiecznik et al., 2001). Lower inclusion rates of 15-25% are recommended in sheep and goats. In all ruminants species, inclusion rates higher than 50-60% may cause toxicity problems due to the presence of cytotoxic alkaloids (see Potential constraints above). Early trials found that Prosopis juliflora pods were highly digestible. Reported values in Peru were 83 and 80% for DM and protein respectively (Azevedo, 1961 cited by Barros et al., 1988). In Brazil, values of 71% (DM), 70% (energy) and 67% (crude protein) were observed in sheep (Barbosa, 1977 cited by Barros et al., 1988). Rations containing Prosopis pods have been recommended for lactating animals and might increase milk production. No effects on milk flavour were noted at less than 50% pods in the ration, though as a sole feed some taste change has been suggested (Pasiecznik et al., 2001). It was reported in the 1950s that pods were used in concentrate rations for dairy cows at 40-60% inclusion rates in Peru, Chile, Argentina and Uruguay. Another report claimed that pods were commonly used in dairy rations in Hawai, where they replaced concentrates such as cottonseed meal (Silva, 1988a). In Brazil, when Prosopis juliflora pod flour replaced up to 60% of wheat bran, in rations for lactating cows, DM intake, weight gain and milk production increased as the proportion of pod flour increased. The most economic ration was when 60% mesquite pod replaced wheat bran (Nobre, 1981 cited by Silva, 1988a). In Colombia, the use of mesquite pods reduced the post-partum interval and increased the weight of dual-purpose cows (Roncallo, 2002). In India, inclusion of up to 30% pods in the diet maintained milk yield (Talpada et al., 1988). In Brazil, total replacement of wheat bran by ground pods was found satisfactory for beef cattle (Silva, 1988a). Several trials in India have shown that the inclusion of Prosopis juliflora pods could sustain cattle growth. Diets containing up to 45% Prosopis juliflora pods (1.5% of body weight) gave acceptable live-weight gains (Shukla et al., 1984). Prosopis juliflora pods could be fed to 9-month cross-bred heifers at up to 20% of the diet (replacing rice polishings) without adverse effects on growth and reproductive performance (Pandya et al., 2005). Similar results were obtained with 20% Prosopis juliflora pods in the diet of growing cross-bred calves (Talpada et al., 2002). Many trials have found that part of the grains or forage in sheep diets could be efficiently replaced with mesquite pods (Obeidat et al., 2008). In Mexico, Prosopis juliflora pod flour could replace up to 45% of sorghum grain while increasing weight gain and was cost-effective at that substitution rate. 60% substitution had a depressive effect on weight gain (Buzo et al., 1972 cited by Silva, 1988a). In Jordan, feeding fattening Awassi lambs diets containing up to 20% (replacing barley) did not affect growth, nutrient digestibility and carcass and meat characteristics, and was cost effective (Obeidat et al., 2008). A similar study found that nutrient intake, digestibility, growth rate and feed efficiency improved when pods were included at 15-25% (replacing barley and maize grain), but that animal performance decreased when pods were included at 35-45% in the diet (Abdullah et al., 2004). In Brazil, replacement of 30% or 45% of sugarcane molasses by mesquite pods gave the highest weight gains (Barros, 1981 cited by Silva, 1988a). Grinding and heating had no effect on voluntary intake of mesquite pods fed alone, but ground pods associated with Napier grass (Pennisetum purpureum) were eaten in greater amounts than whole pods (Barbosa, 1977 cited by Silva, 1988a). In North-East Brazil, mesquite pods were found to be a very practical and economical option for feeding sheep in the dry season (Oliveira, 2009). The substitution of Napier grass silage by up to 45% mesquite pods had a positive effect on DM intake, weight gain and economic performance (Almeida et al., 2008). Prosopis juliflora pods have been tested in arid zone countries to feed goats. In Oman, a diet containing 20% pods improved feed intake, feed conversion and body weight gain without compromising carcass yield or quality. However, intake and gain dropped sharply when pods where included at 30% (Mahgoub et al., 2005b). In the drylands of India, up to 35% mesquite pod flour included in the diet of goats in late lactation maintained weight gain, blood parameters and milk yield (Mathur et al., 2003). 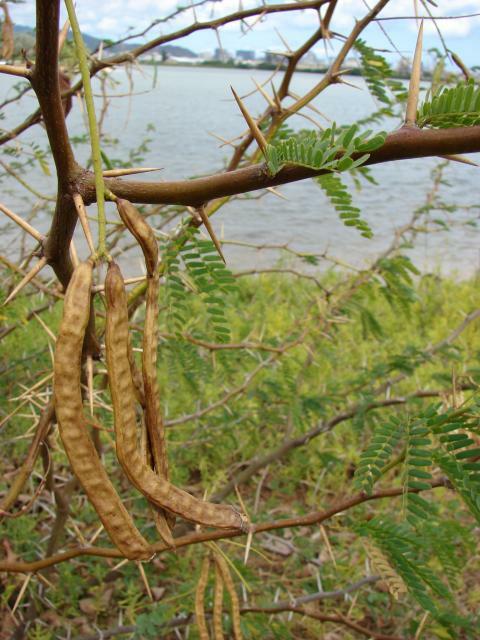 In arid regions of India, Prosopis juliflora pod husks were included at 50% in the concentrate (with colocyinth seed cake (Citrullus colocynthis)) fed to Marwari sheep, without adverse effect on animal health (Mathur et al., 2002). Foliage of Prosopis juliflora is generally unpalatable, which severely limits its use as fodder. However, animals will browse the foliage during dry seasons or droughts when no other forage sources are available. The palatability in decreasing order is goats (most palatable) > sheep > camels > horses (unpalatable). This unpalatability may be caused by the presence of condensed tannins. It increases with leaf age, low-tannin leaf buds and young leaves being more palatable. Dry, fallen leaves appear to regain some palatability, and livestock, particularly goats, are often seen foraging under tree canopies. Leaves have been mixed with other feeds, as a cheap supplement to decrease feed costs, to maintain intake and live-weight gain (Pasiecznik et al., 2001). In India, incorporation of Prosophis juliflora foliage was possible but reduced intake at levels above 10% of the total feed (Shukla et al., 1984 cited by Pasiecznik et al., 2001). Several authors have reported in the past that Prosopis juliflora leaves are highly digestible. However, recent in vitro DM digestibility data are in the 56-59% range (Lima, 1994; Pasiecznik et al., 2001). There are few references regarding the use of mesquite pods and seed flour in pig feeding. Seeds and seed flour appear to be a better feed than pods. More than 10% of ground dried mesquite pods in post-weaning piglets had detrimental effects on growth rate: the feed conversion ratio linearly increased with the inclusion rate of the pods (Silva et al., 1988). In Hawaii, pigs fed on rations containing 70% sun-dried seeds gained 595 g/day (Göhl, 1982). Mesquite flour included at up to 50% of the diet for growing finishing pigs had no effect on growth performance and carcass quality (Lima Filho et al., 1998). A maximum incorporation level of 20% has been reported in several studies. Mesquite pods can partially replace maize at up to 20% of the diet (with enzyme supplementation). Inclusion at 30% increased the feed conversion ratio and the feed cost per kg (Choudhary et al., 2005). Broilers fed a diet containing 20% mesquite pods in the diet had the highest live body weight, body weight gain and the best feed conversion (Al-beitawi et al., 2010). A 10% inclusion rate had no adverse effects on performance in starter and finisher diets (Vanker et al., 1998). Inclusions of between 7.5 and 14% mesquite pods are recommended in layer diets. Mesquite pod meal was used to replace up to 100% of wheat bran (7.5% of the diet) in rations for laying hens and had no effect on intake, feed conversion ratio or egg weight (Riveros, 1992). The inclusion of mesquite pod meal up to 13.6% in isonitrogenous and isoenergetic diets did not adversely affect laying hens performance, but a 30% inclusion level reduced egg numbers and weight, and affected the feed to egg weight. A TME value of 11.8 MJ/kg DM was determined (Silva et al., 2002b). Mesquite pod meal can be included at up to 15% as a partial replacement of maize in isonitrogenous and isoenergetic diets without adversely effecting laying hen quails performance. A 25% inclusion level reduced feed intake and egg mass (Silva et al., 2002a). Little information exists about the use of mesquite for rabbits. It was possible to use mesquite pods up to 25% without problems in the diets of growing rabbits (Castillo Guerrero, 1979). In a trial where ground pods and pericaps were both included at 30%, dry matter digestibility was low for pods (45%) and higher for the pericarp (67%) while protein digestibility was high and similar for both products (72 and 76% respectively). Nitrogen-corrected ME was 7.7 MJ/kg DM for pods and 12.0 MJ/kg DM for the pericarp (Silva et al., 1990). Mesquite pods are well appreciated by horses and mules, who can consume between 2 and 6 kg/day or 1.2 kg/100 kg W. Mesquite pod meal replaced 100% of maize cob meal (75% of diet DM) in mares without altering DM intake, though NDF digestibility was affected (Stein et al., 2005). Hydrothermically processed Prosopis juliflora seed meal fed to rohu fingerlings (Labeo rohita) resulted in better growth than raw seed meal. However, diets where 50% of fish meal were replaced by mesquite seed meal depressed growth, carcass composition, digestive enzyme activity and digestibility, even when the seeds were processed by soaking or autoclaving. It is recommended to incorporate mesquite seed meal in rohu diets at inclusion levels lower than 30% (Bhatt et al., 2010). Mesquite pod meal could replace 25 to 100% of maize grain in the diets of tambaqui fingerlings (Colossoma macropomum), usually without affecting growth performance. However, while the 50% substitution was the most cost-effective, using mesquite pod meal was economically impractical compared to maize grain (Miranda et al., 2009). Mesquite pod meal is a valuable feed for tilapia. Mesquite pod meal can replace 75% of maize grain in the diets of Nile tilapia fry (Oreochromis niloticus) without affecting animal performance (Lima et al., 2009). A diet supplemented with 60 g/kg of mesquite pods improved growth, feed and nutrient utilization, and whole body composition (dry matter, protein and energy content) in Nile tilapia fry (Mabrouk et al., 2008). Prosopis juliflora is a valuable honey plant: bees are fond of mesquite flowers and the flowering lasts almost year-round (van der Maesen et al., 1997; FAO, 2010). Abdullah, A. Y. ; Abdel Hafes, B. Y., 2004. Inclusion of Prosopis juliflora pods in finishing Awassi lamb diets. Proc. 11th AAAP Animal Science Congress, vol. 2, pp. 373–375. Azevedo, G., 1961. Algaroba. 2nd Ed., Rio de Janeiro, SIA, 32 p.
Barbosa, H. P., 1977. Nutritive value of algaroba determined in sheep digestibility trials. M.Sc. Degree Thesis, Viçosa, Universidade Federal de Viçosa, 48 p.
Barros, N. A. M. T., 1981. Effects of progressive substitution of molasses by algaroba pods (Prosopis juliflora (Sw) DC) in ruminant diets. M. Sc. Thesis. Areia, Universidade Federal da Paraíba, Centro de Ciencias Agrárias, 97 p.
Castillo Guerrero, A., 1979. Use of different amounts of pods of mesquite [Prosopis juliflora] in feeds for rabbits. Prof. Thesis, UNAM, Mexico City, 23 pp. Nobre, F. V., 1981. Substitution of wheat flour (Triticum vulgare) by the ground algarobeira fruit (Prosopis juliflora (Sw) DC) in the feeding of dairy cows. M. Sc. Thesis. Areia (PB), Univ. Fed. da Paraíba, Centro de Ciencias Agrárias, 51 p.